etransportasi.com - Yogyakarta is special district located in the South of Central Java Island. There ara many tourism object in this city such as Keraton Yogyakarta, Malioboro shopping street, Mount Merapi, etc. How to go to Yogyakarta? There are many ways to go there, below I will describe some route for foreign tourist who will come to visit Yogyakarta. 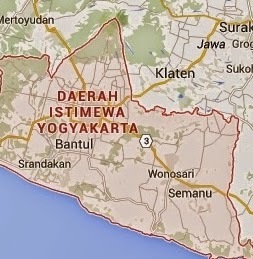 You can ride direct flight from Soekarno Hatta International Airport to Yogyakarta, it takes about 45 minutes flight. Some air carrier like Garuda Indonesia, Lion Air, Air Asia have frequent flight to Yogyakarta. In Yogyakarta you will landed at Adi Sucipto Airport, from there you can get taxi, or you can save money by taking Trans Jogja busline to the downtown. To taking bus you need go to nearest bus station from Soekarno Hatta Airport. The nearest one is Kali Deres Bus Station. From there you can buy bus ticket to Yogyakarta. There are many bus company that serve to Yogyakarta, I recomended you to pick RAMAYANA, PAHALA KENCANA, or MAJU LANCAR bus provider. The ticket can be buy in the ticket counter which is available there. The bus schedule is depart at around 02.00 PM to 04.00 PM. 0 Response to "How to Go to Yogyakarta"